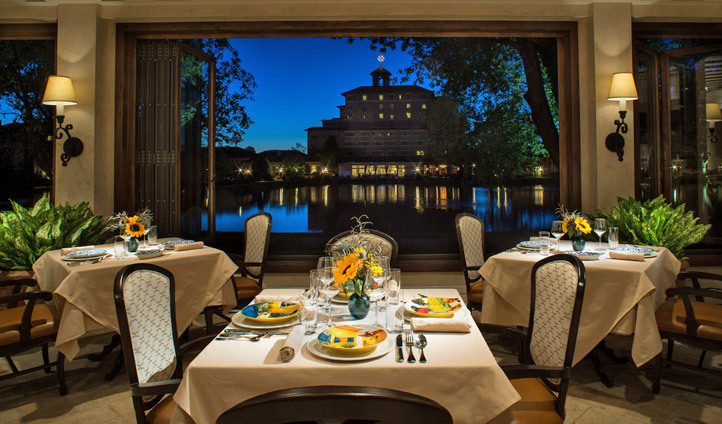 Situated in Colorado Springs and close to the southern edge of the Rocky Mountains, the beauty of The Broadmoor’s setting in indisputable. Such a setting creates a feeling of entering a retreat, a hidden world of fresh mountain air and five-star service. Despite this, Colorado Springs airport is a mere 15 minute drive from the hotel whilst Denver International Airport is around an hour and a half away. The hotel can arrange a shuttle service to collect you from either airport though, so there’s no need to worry about transportation when you land. Just worry about slipping into vacation mode. The Broadmoor Hotel complex is huge. It’s a 3,000 acre campus brimming with stores, restaurants and a variety of accommodations styles. Still, this isn’t a bad thing. Stay at The Broadmoor and you’ll feel as if you’re a part of a wider community, living a life of luxury in a miniature town dedicated to great service and your wellbeing – who wouldn’t want to live that life? The rooms range from standard hotel rooms to luxury suites and cottages. The décor is grand, so there’s no mistaking you’re staying in an old and luxurious hotel. Large windows flood the rooms with natural light and the soft double beds will be a welcome sight after a day out exploring the natural playground outside. 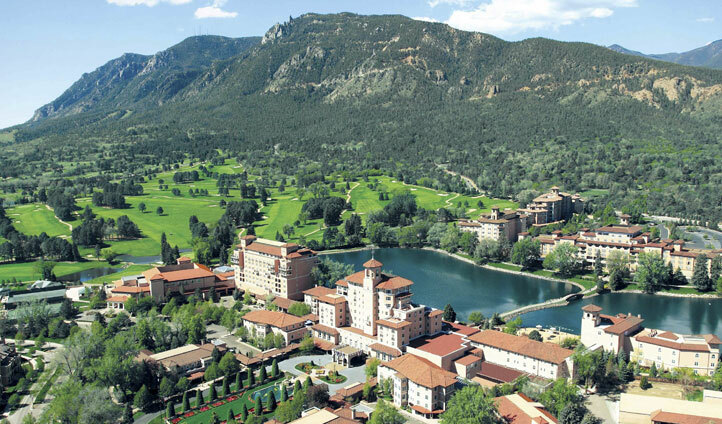 It’s the location of The Broadmoor and the activities that come with it that made us fall in love with this hotel. A few steps from the comfort of your room and you can hike, bike, fish, climb, horse ride, swim, sail…the list is endless. There’s also a whole host of restaurants, spa facilities and entertainment venues to keep you occupied if outdoor adventures aren’t really your thing. How about we just move there…?